Hello, dear GameBookers! The golf season about coming to an end here in Europe, in Nordic Countries especially while season is now ready to start big time in Australia for example. I ended my Finnish season last weekend at Vuosaari Golf in Helsinki, Finland but hope I’ll get some chances for couple of rounds during the wintertime somewhere in the world. Even though the peak golf season is now behind, I highly recommend you to record your rounds to the GameBook in case you missed to record some of them in real time. See, last weekend we updated our Game Manager – beta-period is now over and you’re free to use it with full features. Many enhancements arrived, like the new “Edit results” page etc. 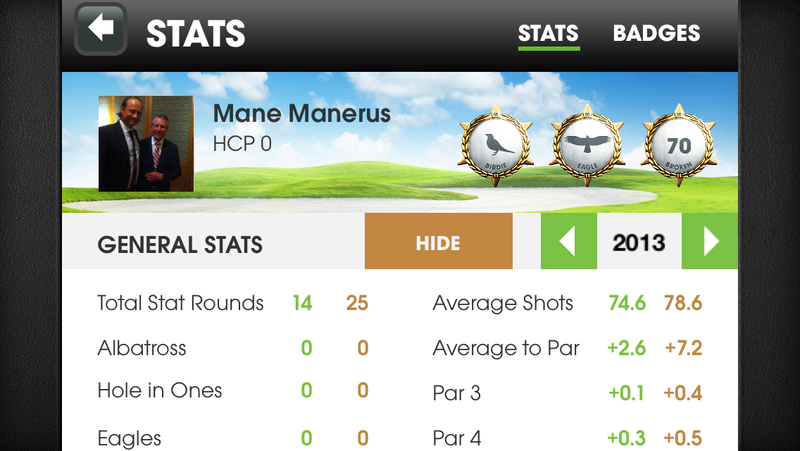 With Game Manager you can edit your past results afterwards, add rounds you have played but didn’t record you socre with the app, and also you are able to see and edit your round stats there too. As well as set up your own events easily as well with just couple of simple clicks. The basic idea, of course, is not changed. Users can set up own pro style tournaments with unlimited number of players online – just couple of simple clicks and off you go. Open the app from your mobile phone and the game is ready there. I mean, who would not like to enjoy hole-by-hole live socring in the golf event? Then, why should you record your score afterwards, in case you didn’t when played? That’s because we just released our latest iOS update for iPhone / iPad and there’s so cool new feature available you definitely will enjoy: BADGES! 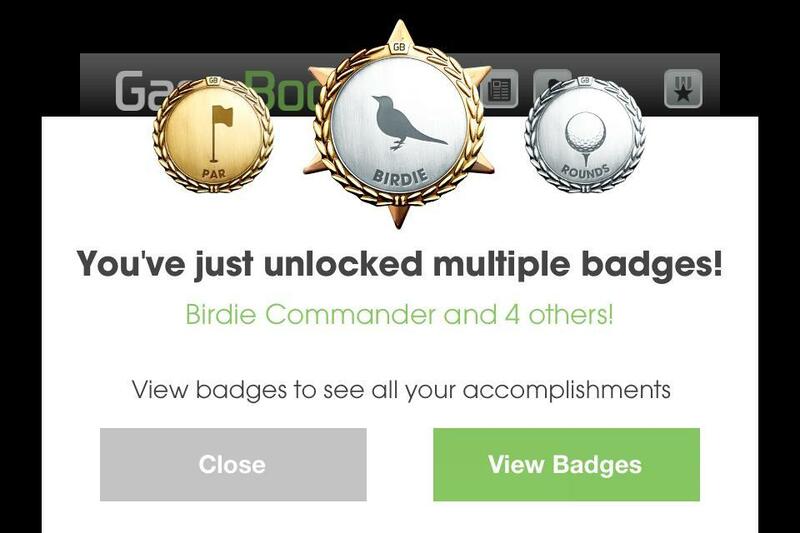 That’s right, now you can gain badges fro your outstanding achievements like how many rounds you’ve played, in how many different countries, how many birdies you’ve done or even eagles maybe…and so much more! 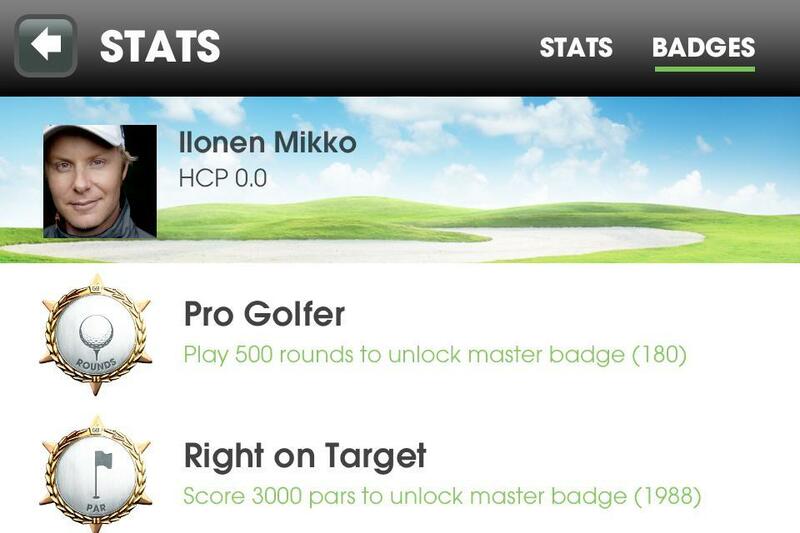 Gain GameBook badges from your golf achievements now. Just open the app after you’ve updated the app to the latest version and there’s an in-app pop-up that first says, “You’ve just unlocked multiple badges”. Click “View bages” to see how many badges you have collected so far. And try to improve! I am personally having a lot of space for improvements left there, for example I’m still chasing the albatross, and I’m not having a hole-in-one either. Actually done a ace but that was over 10 yrs ago when the idea of having the app like this sounded the same as having an own UFO ship sounds nowadays. Check out how many badges you have already? How much you have left to the next level? You can always check out your badges by clicking “MORE STATS” from the starting menu (under your profile picture) but also there a major improvement in stats. You Gamebookers have asked us a lot if we could create an option to compare your seasonal stats, not just over all stats. Like we’ve said many times, this service is created for you guys so your opinions and feedbacks are number one thing for us. Always. So now you can compare your annual stats, but not just your own but to your friends stats as well. Open you “FRIENDS” list to see the list of your GameBook friends, click player’s name you want to compare the statistic and you will get an option to “COMPARE”.